It has taken me a while to finally put up a brownie recipe. The truth is, we don’t really indulge in cakes, cookies or brownies in my house…we are more a sorbet or a couple of slices of vegan choc-mint chocolate people, (thank goodness for choc-mint!) Well maybe I should say I am, so therefore by default so are the kids and my husband! BUT everyone loves a good brownie and the kids loved testing the brownie recipes, hopefully you find these as moist and tasty as they do! 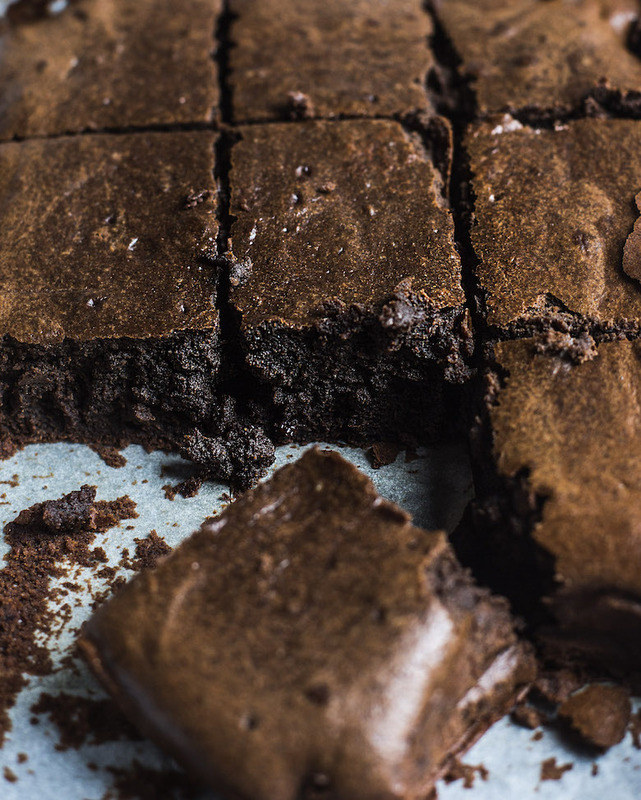 These brownies are perfect for the occasional indulgence. Preheat the over to 160 degrees C, and line a 16cm baking pan with baking paper. Blend the ingredients, minus the chocolate chips, in a blender until smooth. Take out and place in a bowl and mix through the chocolate chips. Pour the batter into the lined pan and smooth the top. Bake in the oven for 30 minutes. Let cool and slice to serve. These are mega sweet so you don’t need big serves!